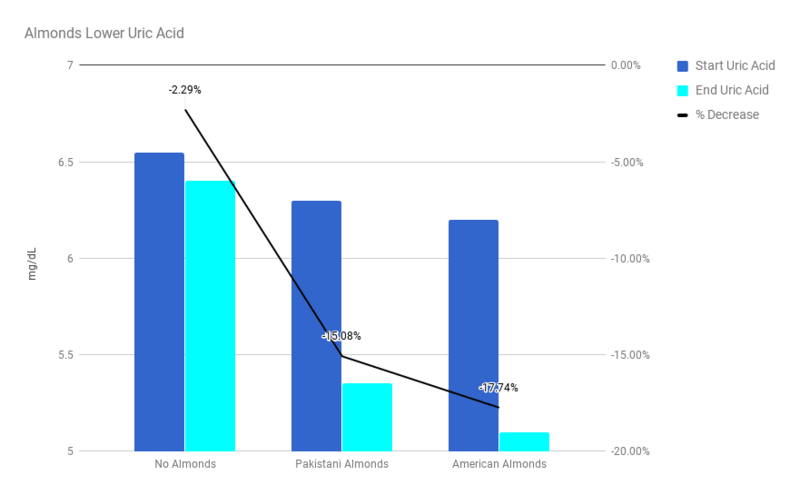 Almonds for Lower Uric Acid is my layman’s review of a uric acid study into almonds. So you can see that almonds can improve your gout foundation diet. I wrote Almonds for Lower Uric Acid for Gout Dieters who want to improve their gout diet. So, to benefit from this research, you should have a good gout foundation diet. Also, you need a plan to reduce uric acid using natural diet improvements. If you do not have a clear plan for making uric acid safe, you should start with GoutPal Plan for Gout Foodies. Or, read Are Almonds Good For Gout Foodies. TL;DR? See Almonds for Lower Uric Acid key points for a quick overview. Almonds & Uric Acid Report. 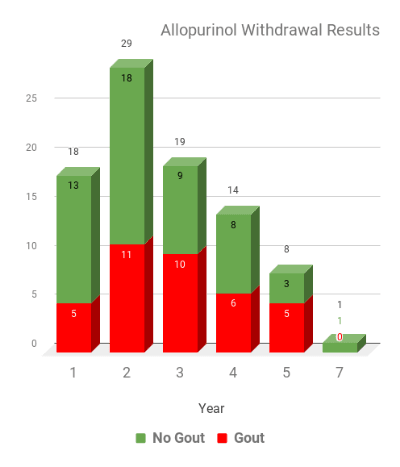 Almonds & Uric Acid Summary. Your Almonds for Lower Uric Acid. Almonds & Uric Acid Key Points. Almonds & Uric Acid References. Is about heart disease patients rather than gout sufferers. Only covers a 12 week period. Does not consider possible reasons why almonds lower uric acid. The report starts with a general description of high uric acid and heart disease. Then, it refers to earlier research showing that almonds lower uric acid in rats. A control group with zero almond intake. PA group with 10g Pakistani Almonds per day. AA group with 10g American Almonds per day. Also, these groups are divided between males and females. So, this gives six groups with various starting levels for uric acid. 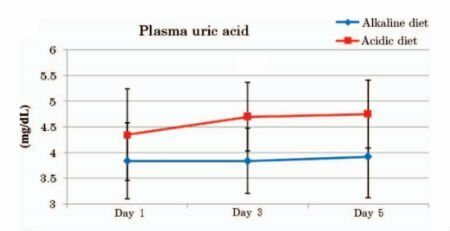 Then, we can see how different treatments changed uric acid levels over 12 weeks. UA = Uric Acid (measured in mg/dL). Before charting these values (below), I combined male and female values as an average. As well as averages, charts in the original report show ranges. So, expect personal results to be slightly higher or lower than these averages. 10g per day of almonds significantly reduces uric acid after 12 weeks. But, we need more research to study effects beyond 12 weeks. Also, we need further analysis of specific components of almonds. Because that will help to plan how adding almonds to a gout diet might work best, in practice. In conclusion, you can see that almonds can lower uric acid in humans. But, there are no specific gout studies that can tell you the best way to add almonds to your diet. So, you have to balance the positive effects of almonds with the risk of weight gain. Because almonds, like all nuts, are a rich energy source. Therefore you must ensure you do not increase almonds in such a way to increase your BMI above normal. Similarly, more research might reveal a better understanding of why almonds are good for lowering uric acid. Then that might help us judge how best to add almonds to our gout diet. But, for now, it is good to know that almonds will generally help uric acid. Though you must take care not to upset your nutritional balance with too many almonds. Now that you know almonds can lower your uric acid, you have to think carefully. Because there are no studies yet to tell you what is the best way to include almonds in your diet. So, it’s best to discuss almonds with your Gout Mentor. Or, get personal gout diet help from GoutPal. Always keep variety and balance in your gout diet. 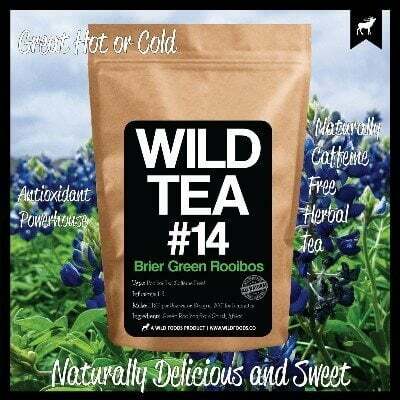 But, don’t go nuts about a single uric acid lowering food. Leave Almonds for Lower Uric Acid to browse more GoutPal Dieters Plan Step 5 (Plans) Resources. Jamshed, Humaira, Fateh Ali Tipoo Sultan, Faridah Amin, Jamshed Arslan, Sumaira Ghani, and Madiha Masroor. “Almond supplementation reduces serum uric acid in coronary artery disease patients: a randomized controlled trial.” Nutrition journal 15, no. 1 (2016): 77. Almonds and Uric Acid in Humans PDF. Jamshed, Humaira, and Anwar H. Gilani. “Almonds inhibit dyslipidemia and vascular dysfunction in rats through multiple pathways.” The Journal of nutrition 144.11 (2014): 1768-1774. Almonds and Uric Acid in Rats PDF. Keith C Taylor. “Losing Weight With Gout Foods To Avoid“. GoutPal July 2012. This information is most useful to Gout Dieters. But, don't go nuts about a single uric acid lowering food.